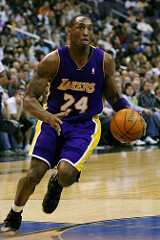 Kobe Bryant (NBA) — L.E.G.E.N.D.! Kevin Durant (NBA) — He can’t miss! Maurice “Rocket” Richard (NHL) — Insurmountable odds, but still the best in the world at the time. 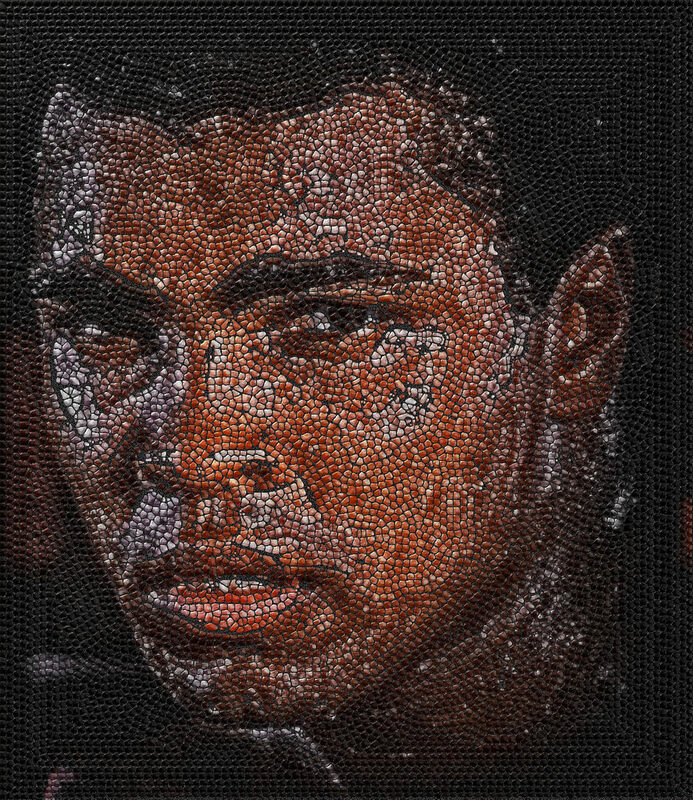 Muhammed Ali (boxer…duh!) — The greatest athlete of all time. Roddy Piper (wrestler) — Reason? I’m sure I’ve covered this already on this blog. Wayne Gretzky (NHL) — L.E.G.E.N.D.! Darryl Sittler (NHL) — That ten goal game! Plus my brother sold me on him when we were kids. 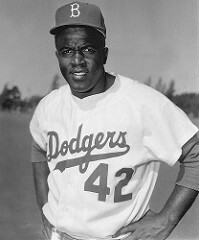 Jackie Robinson (MLB) — For obvious reasons. Lukey (the man!) — Always gives his all when playing sports. Not scared of a challenge either. Congratulations Rudy. This is your week. Best Actress: Meg Ryan as Kathleen Kelly in You’ve Got Mail. Best Actor: John Candy as Del Griffith in Planes, Trains & Automobiles. Best Quote: “The Godfather is the I Ching. The Godfather is the sum of all wisdom. The Godfather is the answer to any question. What should I pack for my summer vacation? ‘Leave the gun, take the cannoli.’ What day of the week is it? ‘Monday, Tuesday, Thursday, Wednesday.’” — Tom Hanks as Joe Fox in You’ve Got Mail. Just a thank you to those of you who read this blog, even semi-regularly. I decided when I started to focus on weekly writing and to not worry about whether or not anyone was reading it. But I really do appreciate you taking the time. It means a lot. 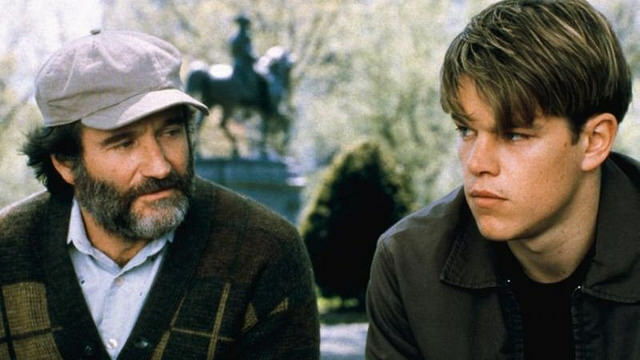 Our last movie of the week, Good Will Hunting, is a great example of a movie that’s good to watch between Sept 1 and November 30. It has that fall feel to it. So does another Robin William’s flick, Dead Poets Society. The following are 4 more, and each one is set in the autumn season or at least significant scenes are. Which is your pick? Troy! Keep your voice down!! My voice travels. It carries. This has come in handy during the times in my life when I was teaching a large class, speaking to an audience or congregation, addressing a group of teenagers in a gymnasium, etc. However, when I was 10, getting excited telling a story at the dining room table of something funny that happened that day—especially if at the time someone was sleeping in another room—it wasn’t helpful at all. It was a real pain. I used to hate it when I was hushed or told I was too loud. But it wasn’t like they were wrong in saying it. I was loud. Now my son does the same thing with his voice and I want to be annoyed, but I can relate so well. So my response is measured, though usually conflicted and unsure. Robin Williams was a performer who knew how to be loud. He could even shout an entire stand up routine and we would eat it up. 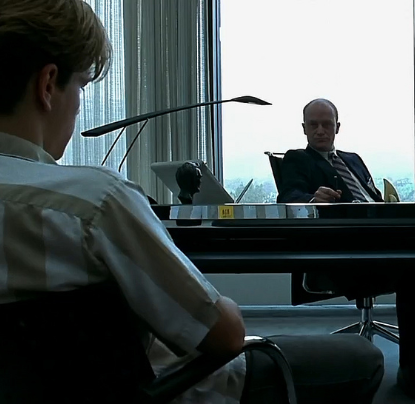 Hearing him in Good Will Hunting speak softly and meaningfully in an effort to help Will makes me jealous. I want to be more like him. Regardless of whether you’re naturally soft-spoken or tend to speak like you’ve got a megaphone strapped to your jaw, there are always times that call for listening, asking questions, and staying calm, collected. I’ve had someone be Dr. Sean for me many times in the past. I’m hoping I can be that for others. If my voice can carry, maybe it can also carry help and healing. Now that would come in handy. 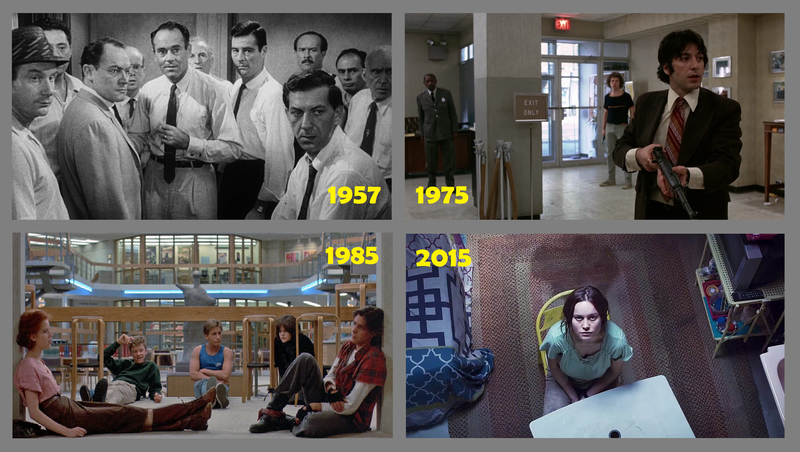 Congratulations, Good Will Hunting. This is your week. Best Actress: Minnie Driver as Skylar in Good Will Hunting. She was nominated for an Oscar for this performance, which I think was very deserving. Best Actor: Other than Damon, it’s gotta be Robin Williams as Sean in GWH. 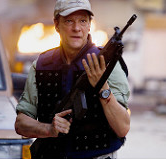 But seeing as that movie is sweeping the categories, allow me to give a best supporting shout out to Chris Cooper—a highly underrated actor—in The Bourne Identity. For supporting actresses, I cannot decide between Kristen Wiig and Jessica Chastain in The Martian. 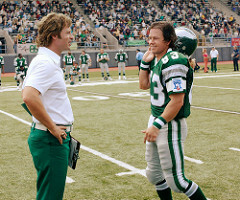 They were both awesome in that movie. Best Quote: “They say once you grow crops somewhere, you have officially colonized it. So, technically, I colonized Mars. In your face, Neil Armstrong!” — Matt Damon as Mark Watney in The Martian. Well, it’s about time we shine the light on this guy. He’s an incredible actor and when a movie of his comes out I always want to see it. He’s been in some stinkers, but for the most part his movies are great. Which one of his three below would you choose? Mike’s World: Party Time! Excellent! 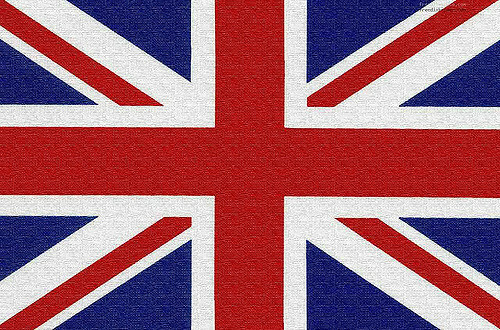 I’ve always known he was a proud Canadian, but he’s also a very proud Brit. His parents are both British (Liverpool, England) and he carries a British passport. He was on an episode of The Littlest Hobo when he was 16. A year later he was on Bizarre playing John Byner’s nephew. But his very first gig was when he was 12 on an episode of King of Kensington. His very first movie appearance was Wayne’s World (1992), which made more than $18,000,000 in its opening weekend. Apparently his Wayne persona goes way back. When he was in high school he would act out this character for girls at parties. 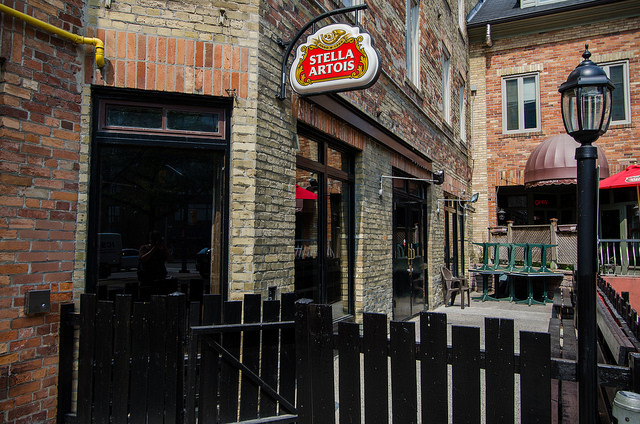 He’s joked before about not having much talent, but he had enough to get the attention of Toronto’s Second City Comedy before he’d even graduated. On the last day of grade 12 he wrote his final exam at 9 am, auditioned at Second City at noon, and was hired by them at 3 pm. Even though his first TV appearance was at 12, he was in a commercial at only 9-years-old appearing with SNL legend Gilda Radner. You may have seen the clip from SNL where Barbra Streisand walks in on his Coffee Talk with Linda Richman sketch. Well, a year later she called Myers and asked if he would introduce her for her concert in MGM Grand in Las Vegas, her first concert in 22 years. He is a huge fan of Aerosmith, but had a hard time getting to meet the band when they were on set to appear on the show. It was his birthday that day and they walked in on his Wayne’s World segment, without him knowing ahead of time, as a birthday present to him. He auditioned for Whose Line Is It Anyway. And I saved the best for last: Just after former Beatle George Harrison’s death, a letter was given to Myers while he was shooting Austin Powers in Goldmember (2002). Harrison had written a letter to him complimenting him on the Austin Powers series and requested a Mini Me doll. This would end up being George Harrison’s last letter he’d ever written. 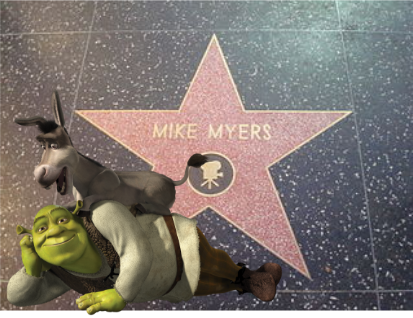 Of all the great success and achievements in Myers’ career (including being a part of the animation film game-changer, Shrek), he says this was one of the most incredible things that has ever happened to him. Congratulations Shrek. This is your week. Best Actress: Elizabeth Hurley as Vanessa Kensington in Austin Powers: International Man of Mystery. 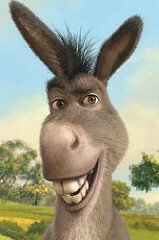 Best Actor: Other than Mike, I’d say Eddie Murphy is most deserving this week for his role as Donkey in Shrek. Best Quote: “If you blow chunks and she comes back, she’s yours. But if you spew and she bolts, then it was never meant to be.” — Mike Myers as Wayne Campbell in Wayne’s World. Well, I really must give a shout out to my good friend and cousin Petrina. Her son (my cousin once removed?) was contestant on The Amazing Race this summer and came in 3rd place. And if you didn’t watch it, the man is a beast! I’m so happy for you both. Cheers! We will get back to more iconic movie stills, but this week we’ll take a look at an actor I can’t believe we haven’t focused on yet. 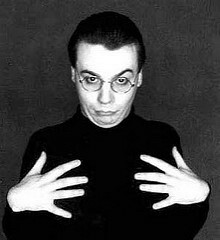 Mike Myers has been described as today’s Peter Sellers, though I’d say he’s had more hit movies than Sellers. Which of the following movies and their respective series would you choose for this week’s movie?